Kiss my keg! Its time for another trophy, Bren. A tale of two, maybe three, events this week but approached in differing ways. As Tom says in his full preview at Riviera everything points to long-hitters who can set up serious chances with their approach play and whilst a tad off-the-scale, Bubba Watson (winner here in 2014 and 2016) summed it up when saying the longer players can get away with missing fairways as the tree lines are wider and there is a path out of the thicker stuff. Of course, Bubba is Bubba and he plays it his way so take it all with a pinch of salt although Pat Perez concedes he isn’t long enough to compete on the longer par-4s. Given Dustin Johnson is defending that has to be case for bombers but they will have to find greens, and on the sloping flat stuff scores will be made from the fairway. The better players can play their way out the thicker stuff if they are hot scramblers but hitting it long, having clear approach shots and par-4 performance all seem to be key aspects this week, with scambling an asset should they just rip-and-hope. I am really only interested in three players over there this week. Rightly clear at the top of the market is Dustin Johnson and I cannot see many negatives this week. There is nothing clever to add to his course form of six top-4 finishes in eight starts whilst current form is clear for all to see. Yes, he should have kicked on from halfway last week at Pebble but as the similarly talented Speith and Thomas show, they are not machines. I am loathe to put up 5/1 chances here but there are doubts surrounding the rest of the top half-dozen or so and he just takes part in the second double. Just behind the jolly, Brendan Steele ticks every box and he is a decent bet for me as a single and in this format. We have been with the Californian golfer twice this year, the first when a poor final round 76 cost him the chance of a place at the Farmers, and latterly when he proved extremely reliable in Arizona, dropping out of the places in the midst of Sunday but coming again to outstay a few and grabbing 3rd at the Pheonix Open. It is no hardship that he didn’t play last week as in 2014 he went T6 Pheonix to T10 here via a missed-cut at Pebble and again showed his worst form of this little period at the same track over the last couple of seasons. The 34-year-old adores playing in his home State, recording back-to-back wins at the Safeway Open, and fits everything I am looking for this week – ranking high in Par-4 performance, driving distance, greens-in-regulation, scrambling from 10-20yards and putting on this poa annua grass. He is certainly expected to at least match his recent best of 10th round here, but seems a much more relaxed player now and he happily sat closer to 33-1 on my tissue. I looked for reasons to back Tony Finau but I’ll desist simply as Chez Reavie simply has to be backed, no matter how much one wants to avoid a very well tipped-up selection this week. Multiple winner on the web tour, the 36-year-old has only got over the line once on the main stage, but it cannot be long before he does so again. A real top-20 machine he came into 2018 with three top-10s in each of the last two seasons but has already surpassed those with two silver medals at Pheonix and Pebble Beach. Given his previous form at both those events was a 26th at Pebble amongst missed-cuts, this is a huge step-up from a player who has impressed with his weekend play over the last fortnight. A strong finish to play-off with Woodland preceded a closing 66/68 to outplay the likes of Johnson and Day and whilst his distance off the tee is a slight concern, the likes of Wes Bryan, James Hahn, Jason Allred and KJ Choi have all managed to contend using a tidy gameplan. Clear at the top of the par-4 lists and surprisingly high on the par-5 (length is sometimes a bind and a decoy) and recording good stats on this type of green, Reavie looks on the cusp of a win and, again, he looks fairly priced. There may be advantages in Oman for those that have played on the Challenge Tour over the past few years. It is something of a conundrum as the last event to take plays round The Wave was the limited-field Championship closer in November, carrying huge pressures for some as they tried (many in vain) to grab an illusive European Tour card. However, despite rumours that the venue may not be as windy as it can be, Mother Nature is hugely unpredictable and I prefer to go along with a tested method. Winner here in 2014 (when it preceded the final event) Max Orrin describes the course as ‘right on the coastline, quite linksy….quite tight in places, then of course, there is the wind as well’ and nothing that has happened since has changed that summary. When studying this for thegolffamily.com last season there were definite links with tight wind-affected courses such as Le Golf Nationale and the events in Kenya, Turkey, Morocco and possibly the Dutch KLM. Also very prominent were formlines at the Scottish Hydro and at the various Irish tournaments (of course where we say Ireland we have to put in Scandinavia) as well a huge link to Foshan, just a couple of weeks beforehand. After all that, it was a relief that eventual victor Clement Sordet proved the point having previously won in Turkey, Northern Ireland and Finland! It hasn’t been easy to select just a few from a list so I am going multiple entries for this half of the double, with short explanations before you get bored. Chris Hanson looks far too big at three-figures this week. Given his best form is at the likes of Morocco (T5/T6), the KLM (T8), Turkey (T7) and at Foshan (T6) it was surprising that he finished so well to nab a top-10 in Dubai with a final round 65. With new driver in the bag it looked as if he was going on one of his streaks but to put it into his words ‘I was utter crap’. Given the comments all through his blog about the complete change from Dubai and the heat and change in grass, I am not sure anyone would have backed him to do much so apologies – he writes it after the event not two days before! Back in conditions that will suit and with form in this part of the world, expect him to go close to breaking his maiden. ‘It’s an awesome course! !’ is how Ryan Evans describes this week’s venue, and having had a couple of years previous experience, he could well prove to be as good as any of the Challenge Tour graduates. Following 2016 victor Sordet into the winners enclosure in Turkey last year, Evans proved to be a top-10 regular, backing up that win by clocking up five top-10s alongside two podium finishes at Foshan and in France. High finishes in Foshan and in Finland as well as Ras Al Khaimeh all point to the suitability of the course this week and whilst finishes of T16 and T12 are decent if not staggering, it is worth noting that he couldn’t make the top-15 three years ago, and was already assured of his card last year. Evans is currently playing well under the radar and whilst a closing 69 in Perth saw him fall just shy of a place on play-off day it is a sneaky little formline that follows a solid 15th in the South Africa Open. He may well be a player that does a lot better than a 125-1 quote. Those who followed in on Aaron Rai for the Challenge Tour title last year will know how frustrating it was for him to gain his required three wins by the Summer, pocket his card and sit out the rest of the CT season, gaining experience in first class company. It was great to see him appear at the finale but, despite a solid position at halfway he never seemed particularly concerned about winning the event. The Wolverhampton born, former teenage star has been improving year-in-year-out, graduating through the EuroPro tour before an imperious start to his career at higher level. Giving notice with a 7th in Joburg in early 2017, wins in Kenya (with a short game to die for), France and in a matchplay event in Spain sit well with five other top-10 finishes including top-10 at Valderamma. Rai is unquestionably one to follow throughout the next couple of seasons and was yet another to just miss the weekend in Perth. When on his game, very few will match his accuracy and recovery game and he is worth taking the chance with in a very winnable event. There is huge temptation to be with Callum Shinkwin due to his prowess in windy links but despite a cracking 3rd here in 2015 he appeals more on a longer, wider track so the final two votes go the way of Nachos Elvira, Anthony Wall and Bernd Ritthammer. Elvira has a hat-trick of missed-cuts this year despite not doing that much wrong bar one round of 78 but it is his suitability round here that makes him more than a passing interest. Like most of the young Spaniards, he has a particular type of course that benefits him and top-20s at the likes of Crans and Denmark sit nicely alongside a win at Foshan, a top-10 in Turkey and top finishes in Qatar and Dubai. Elvira enjoys playing in the wind and was unlucky to find Wang putting the lights out down the stretch in the 2016 Trophee Hassan. That particular player is well fancied in some circles this week given his ability on coastal windy tracks and Elvira has stuck with him on more than one occasion. Should the return to a favoured track inspire slight improvement, he may well match previous finishes of 9/3. The return here is also the reason for the backing of Ritthammer. Improving course form of 1/12/48 is enough to convince he likes it here and following his 22nd in Dubai, has been practising in preparation for a course for which he has ‘such fond memories of my victory there in 2016.’ Having finished 124th in the rankings last year the German is eager to get his full card back and hopes this event will be the kick-start he needs, and whilst form is sporadic he sticks in the odd favourable finish – T25 at the Alfred Dunhill Links, T20 Czech, T30 Denmark – none of which, of course, stands up to a win in Ireland, 3rd at Kenya and numerous places in Ireland and Scotland and top-10s in Dubai and Mauritius. The game is there, it will happen and it’s a question of when? Why not here? I have never got Anthony Wall right but this appeals as his ‘sort of track’. I think we will be relying on wind for him to compete strongly but he is certainly the type to succeed if accuracy plays any part. Sandwiching two moderate round with 63/66 in Dubai on his last outing was a sign things were improving and given he was T20 there in 2017, appears to back up the thought he turns up at the ‘right’ track. Hardly prolific with just two wins in 500+ events, his two victories have come in poor conditions confirming his suitability for rain and wind. Whilst we won’t get any water from the sky, there is plenty on the course and his accurate method may reap some reward, something that has seen him rack up top finishes at Valderamma, Irish Open, Portugal and countless Opens throughout the British Isles. 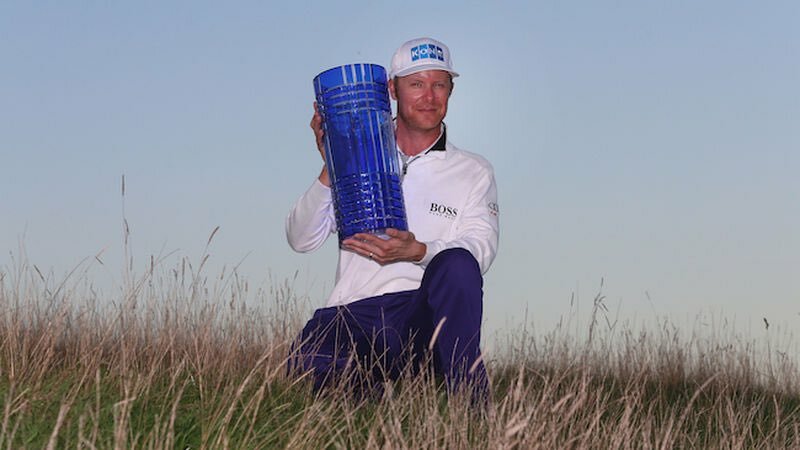 Whilst wins are lovely, this column is designed to nick a place or two here and there, and when there is a distinct trait to a course it has to be played and the near-veteran fits. There is a danger of getting Oman completely wrong and it plays pitch-and-putt with no wind of much affect. So be it, it will be a lesson for next year, but for now it has enough history to suggest it will be a test. Whilst we collected precisely nada last week, it was great to see our recent interviewee, Toby Tree, grab a top-5 position in South Africa with a strong final round. There is little to add other than this was his best effort in South Africa since his 9th and 5th at the Dimension Data pro-am and guess this week’s event? This is a very winnable event for the 23-year-old and at 40-1 I felt he was worth a very favourable mention. I’ll certainly be having a small interest and may mix him up in doubles and trebles, with one small double suggested above.